Germ-blasting robot Solaris Lytbot is a portable "no-touch" disinfection technology that uses pulsed UV light to eliminate pathogens, but experts are worried cash-strapped hospitals will use automated disinfection instead of humans to save money. 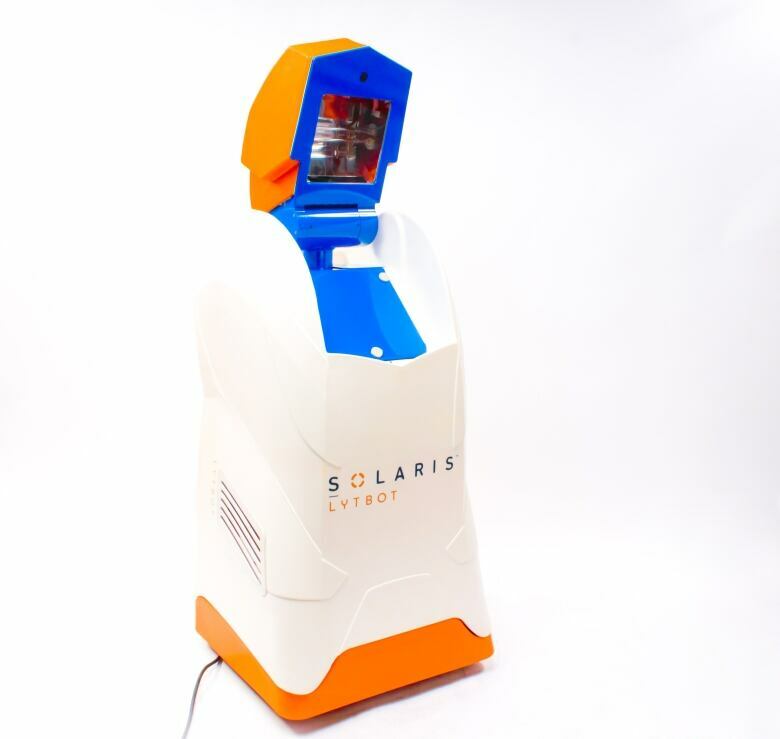 The Mississauga, Ont., company behind a robot that blasts away hospital germs using ultraviolet light says its Solaris Lytbot is the ideal weapon in the war against hospital-acquired infections such as C. difficile. "They wheel it into a room, set how long to run it for and hit go. 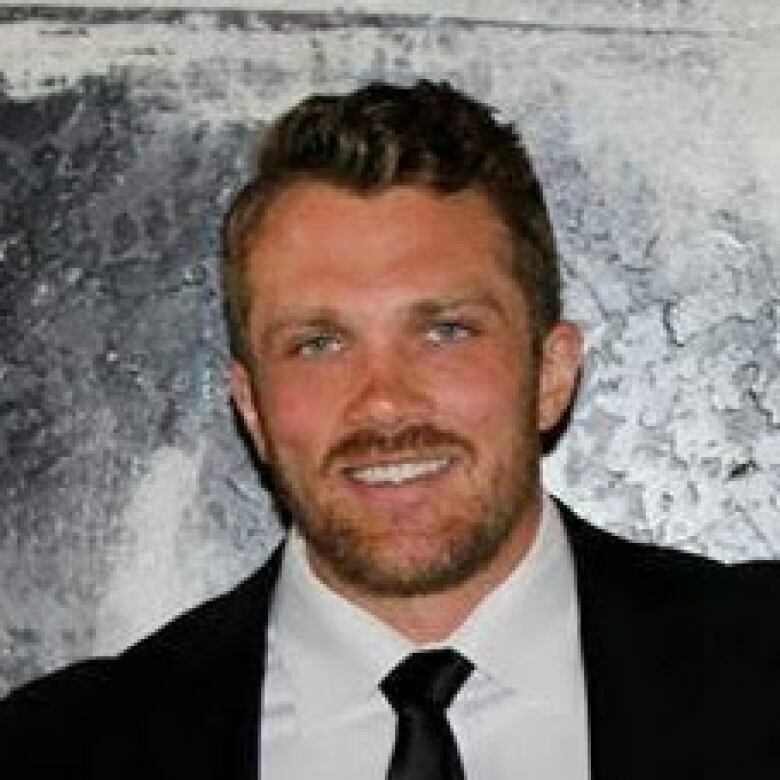 Then they leave the room and away it goes," says Adam Steinhoff, chief operating officer and co-founder of Solaris Disinfection. The Lytbot cycles through a programmed pattern and fires pulsed UV light until it completes a 360-degree sweep of the room. The robot's beams have a devastating effect on germ cells and bacteria spores through what Steinhoff calls "cellular disruption." He describes it as a light energy hitting a cell, which in turn causes it to dry out and rupture. He says automated disinfection systems like the Lytbot that use no-touch UV light technology may be the solution for cash-strapped hospitals and health-care facilities. But he admits at $65,000 per unit, the robot is not cheap. However, Steinhoff says that price may be reasonable if you estimate that a C. difficile diarrhea outbreak could cost a hospital an average cost of $20,000 to contain. While the company has been able to sell about a dozen units south of the border to health-care facilities like Baylor St. Luke's Medical Center in Houston, Tex., and the Baptist Hospital in Pensacola, Fla., the market in Canada hasn't been as receptive. London Health Sciences Centre in London, Ont., is one of the few using the Lytbot, but the facility has only adopted it as part of a pilot program. 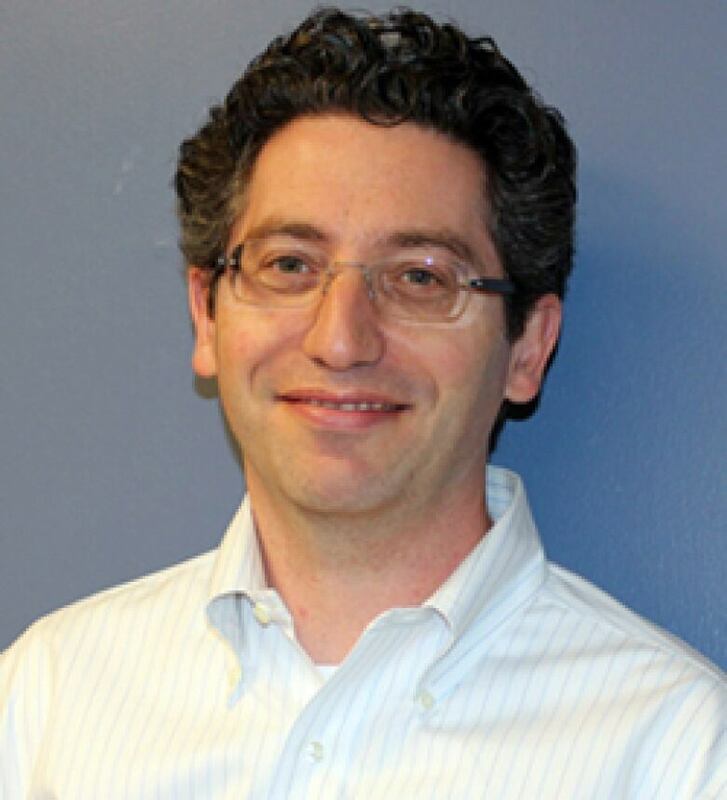 Dr. Kevin Katz, medical director of infection prevention and control at North York General Hospital, says some Canadian hospitals may feel reluctant to adopt the new technology. "UV light is able to kill bacteria and kill (C. difficile) spores — but you do need a higher amount of energy," says Katz. "While the science makes sense, the evidence that it reduces healthcare-acquired infections is evolving. It's not quite in the mainstream yet." Instead, Katz says, most hospitals rely on products like bleach or activated hydrogen peroxide for infected surfaces. "I don't think the evidence is there to use this technology to replace environmental cleaners in healthcare environments," says Katz, who adds a recent Ontario health technology review of UV technology did not support the purchase of products like the Lytbot at this time. What's more, Katz is concerned cash-strapped hospitals would be tempted to use the robotic technology instead of old-fashioned human cleaners with mops and pails. "I think if you were to rely on it to do the majority of the cleaning, you would run into trouble," says Katz. But Steinhoff says the Lytbot isn't meant to be a replacement for daily cleaning, but a supplemental method of disinfecting a room after traditional hand cleaning is done. "What we are doing isn't going to replace what those hardworking folks are doing. But what it's doing is helping them to do a better job than they are able to do in a time crunch and with the resources they have." Steinhoff adds that studies show as much as 50 per cent of surfaces may by missed by manual cleaners, and that's where he hopes his device can help.